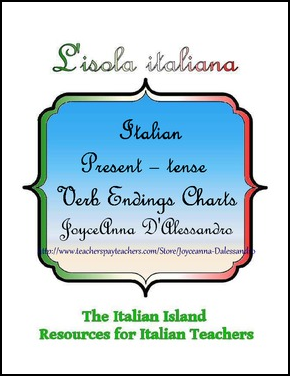 Display these present-tense verbs ending charts in your Italian class to help students recall them as they write. Print them 3 to a sheet as a handout. *3rd & 4th conjugation verbs are on the same chart with the infix -isc- written in green to highlight its location.